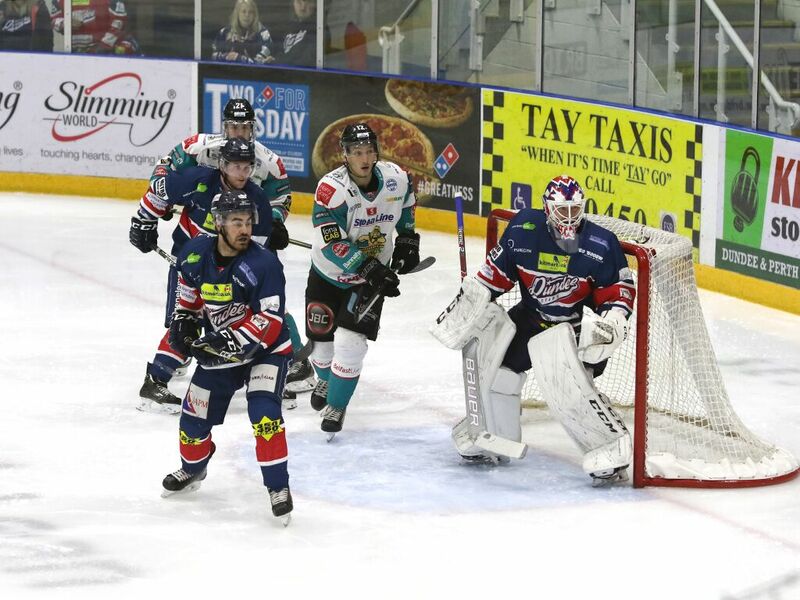 The in-form Dundee Stars took a 6-4 victory that condemns the Belfast Giants to 2 defeats in a row following their loss on Sunday to Sheffield. It’s revenge for Omar Pacha’s men who take the valuable 2 league points after going down 8-0 on the same ice just one week ago. Giants opened the scoring through Jonathan Ferland on a delayed penalty after 6 minutes, but the Stars hit back less than a minute later, Shawn Boutin with the finish by Stephen Murphy , starting ahead of a rested Tyler Beskorowany, to make it 1-1. I frenetic second period saw the Giants both lose and then regain the lead. 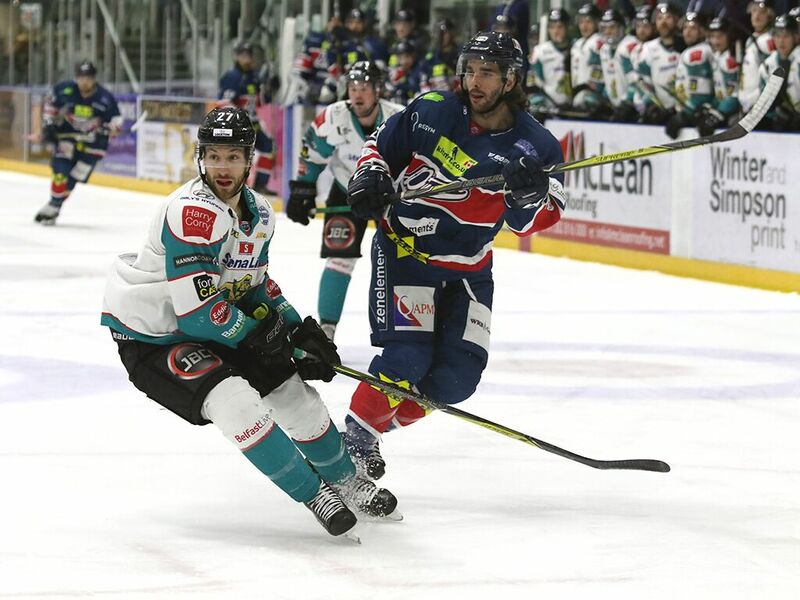 Francois Bouchard put the Stars ahead just 2:30 into the period, before 2 goals from Dustin Johner, one a lovely short handed finish, out sprinting Cox, and then a PP marker put the Giants 3-2 up. The Stars leveled it before the period ended, Bouchard on the breakaway leveling the sides and exposing a faltering Giants defence. And that lapsing defensive play was taken advantage of by the Stars in the third as they took control of the game. 2 quick fire goals, first by Brian Hart and then Matt Marquandt gave the Giants a hill to climb with 14 mins to go. And that hill be came a mountain when Bouchard completed his hat-trick and made it 6-3 as the game went to the final 10 minutes. Blair Riley was to grab one back and the Giants thought they had scored at the death only for the goal to be washed out by referee Tom Darnell. A convincing 6-4 victory for the in-form Stars who’s 5 game winning streak has included the Devils and the Giants. For the Giants, a lot of questions on defensive capabilities and the dedication to what should have been a better performance. Adam Keefe highlighted in his post-game comments that his side had a number of passengers, which is hard to disagree on. As the game wore on there was the feeling that the Giants had taken this to be a formality that never transpired. While Stephen Murphy, starting his first game in over a month, struggled to command his crease and was left to deal with too many 2 on 1 breaks, an eye must be cast to his defense who more often than not left him out to dry. Offensively the Giants maintained the pressure on the excellent Pontus Sjogen’s goal, yet the Stars weathered through the game and took every chance they were afforded. 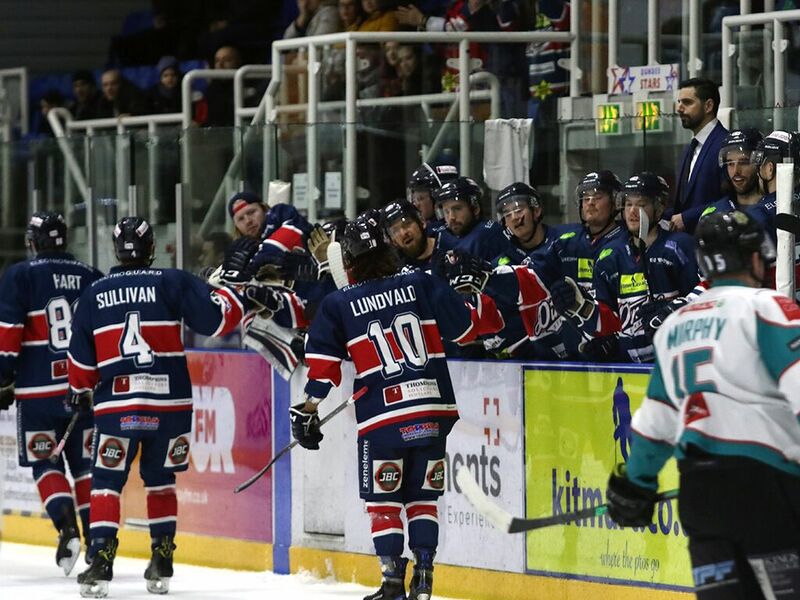 There are a lot of games coming thick and fast at the minute and little respite as the Giants have 2 days to prepare for their final league game of the season at the Spectrum against the Flames. Before returning at last to the SSE Arena to face the Cardiff Devils on Sunday. PODCAST: Captain, Coach, Century – This Week’s A View From The Bridge chats to Adam Keefe, Omar Pacha and Aaron Murphy. 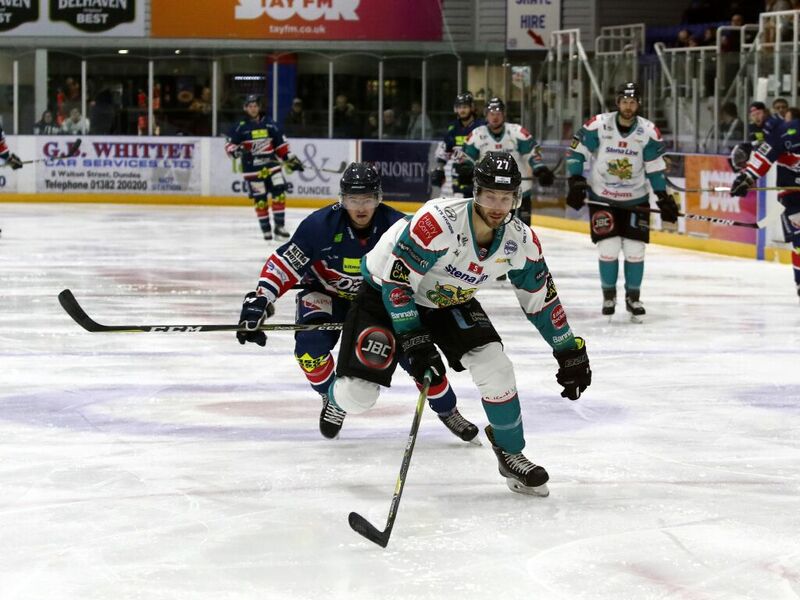 The Lads look at the weekends split weekend with Sheffield and the Challenge Cup romp in Dundee, they also discuss the Player of the Month contenders. A Tiny Dose Of Reality Isn’t A Bad Thing!